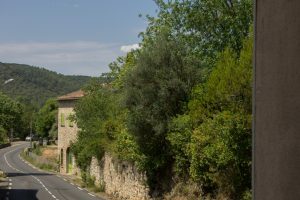 History of Montfort-Sur-Argens – As well as its beautiful surrounding countryside, Montfort-sur-Argens has a rich history and surviving ancient architecture. The history of Montfort means there is plenty to discover right on our doorstep. Middle Ages The Castrum (fortified settlement) of Montfort was founded in the middle ages. It was given to the Templar order by the Lord of Ponteves in 1197, and passed on to the Knights Templar in 1207 by Alphonse II of Provence. Thirteenth century archives refer to the village as ‘Mons Fortis’, meaning ‘fortified hill’. 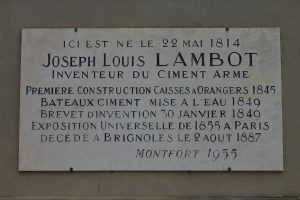 The Mons Fortis plaque featuring a canon on a hilltop can be spotted on various buildings including Maison Lambot. 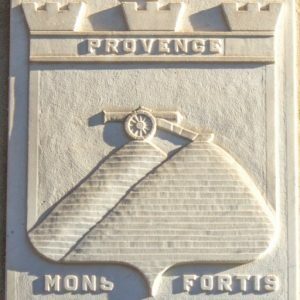 The village was renamed Montfort-sur-Argens in 1904 (‘Monfouar’ in Provençal, the local dialect). During the crusades, Montfort was used extensively by the warrior monks. After the disappearance of the Templars in 1308, Montfort was destroyed by the Order of Saint-John of Jerusalem, who took it over in 1319. Revolutionary period In 1411, the Order built a ‘commanderie’ (fortified domain) at Montfort, which they occupied until the revolution. In 1793, the castle was turned into a revolutionary prison. 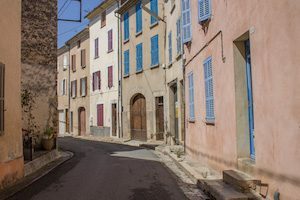 The key historical sights in Montfort include the Château des Commandeurs (castle) dating from 1411, the Tour de l’orloge (clock tower) dating from 1679, and the 13th Century ‘Porte a Herse’ (portcullis gate). The old town features remains of the ramparts, fountains and vaulted passageways.